Travel can be boring for many kids, but not when you’re prepared to fight boredom with an absolutely awesome and original way of playing an absolute classic game. Who doesn’t know the Tic Tac Toe game? 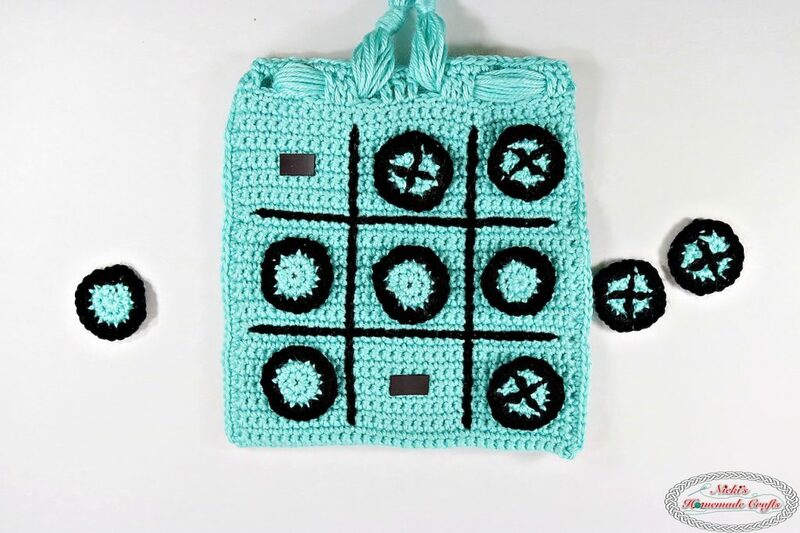 Here is a new approach to playing this so popular and loved game: Tic Tac Toe Game Travel Bag by Nicole Riley combines the passion for crochet, fashion and desire for fun, all three in one awesome free crochet pattern. This Tic Tac Toe Game Travel Bag with Magnets is ideal for kids and when being on the road. The magnets prevent the game pieces from being moved and getting lost while playing. And after the game is done the game pieces are conveniently put inside the bag. Thanks to Nicole for the article inspiration and featured image.